Do you know what you believe? What do you believe about the deity of Christ? About the atonement, repentance, the new birth, and justification? What if someone ask you why you believe the Holy Spirit is a person rather than merely an influence? Do you know what you believe about the deity of God? How we got our Bible? Which Bible translation should you use? What do you believe about Satan? Demons? Angels? What about the rapture? The second coming? Do you really know what you believe? 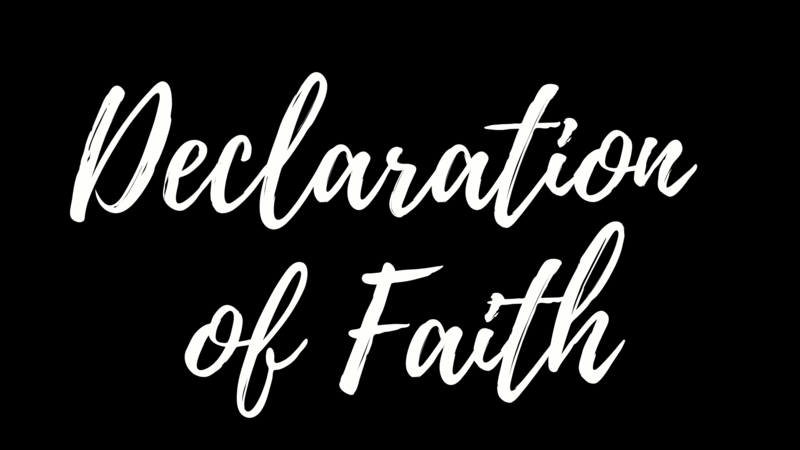 As a pastor, I’m thankful for statements of faith, better known as our declaration of faith. These are the very foundations of our faith. A house is only as strong as its foundation. This is true for us as the body or for us as individuals who make up the “lively stones” of the church. Jesus’ parable of the wise and foolish builders (Matthew 7:24-27) validates the importance of building our lives upon the truth of God versus the wisdom and knowledge of this world. It’s imperative to our families and for future generations that we as Gods church lay down a doctrinal foundation to build upon. Our doctrinal beliefs serve as anchors for life. They keep us from drifting, from being swayed by every kind of believe, and doctrine of men as well as the doctrines of devils that come along. What we believe in what we do with the word of God determines the quality of our life. Psalms 1:1-3 says “Blessed is the man that walketh not in the counsel of the ungodly, nor standeth in the way of sinners, nor siteth in the seat of the scornful. But his delight is in the law of the Lord and in His law he doth meditate day and night. And he shall be like a tree planted by the rivers of water, that bringeth forth his fruit in his season; his leaf also shall not wither; and whatsoever he doeth shall prosper.” The keywords here are “delight” and “meditate” as a lifestyle practice of the discipline of Jesus Christ. When our daily spiritual appetite is centered around the word of God, the fruitful life becomes a natural outcome. Starting this Wednesday night (Jan. 14th) and for the next 9 weeks we are going to be moving through a course on our Declaration of Faith. You will be able to earn a certificate of completion at the close this time. We will be giving more details about this during the classes starting this Wednesday night at 7pm. We strongly encourage you to make plans to be with us or watch via online streaming. The notes will be available for those watching online as well. If you would like to participate please join us this Wednesday at 7pm. For instructions on how to watch online, please contact Pastor Kevin.